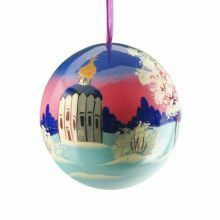 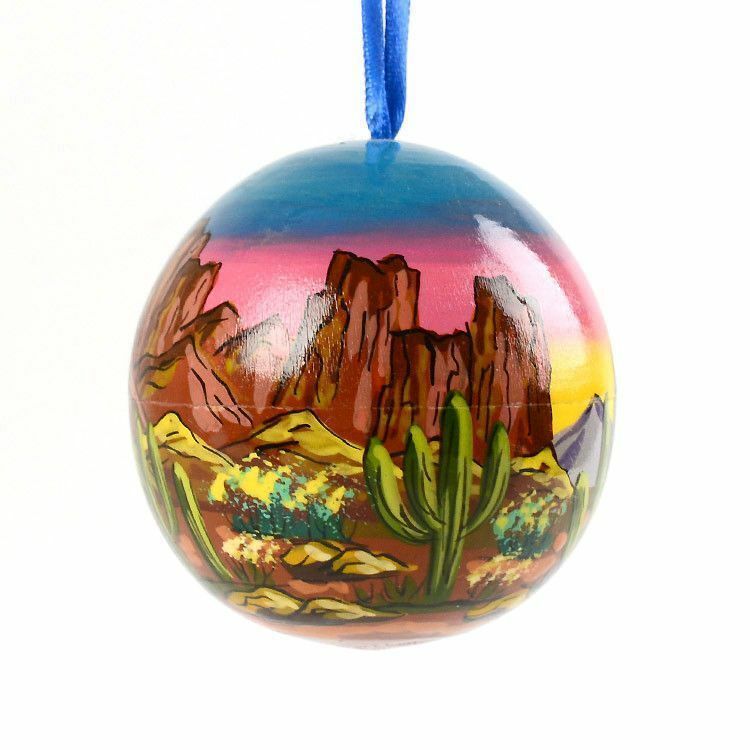 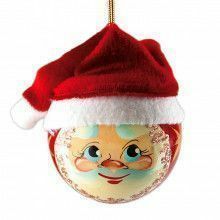 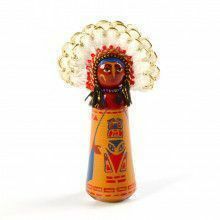 The Russian Store proudly presents its collection of authentic, hand-painted, Southwestern themed ornament balls and bells. 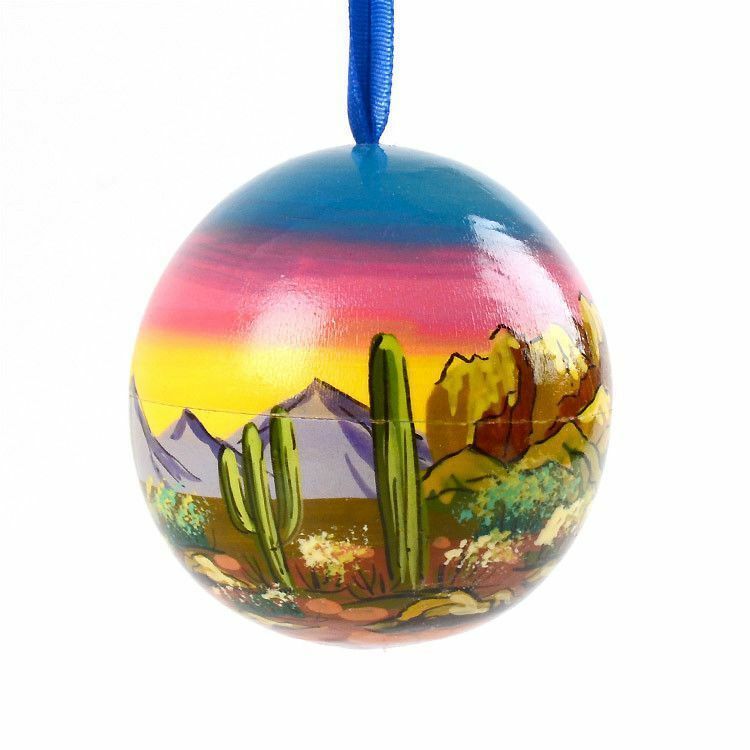 Each piece is painted in an array of bright sunny colors by Russian artisans, specifically for our store. 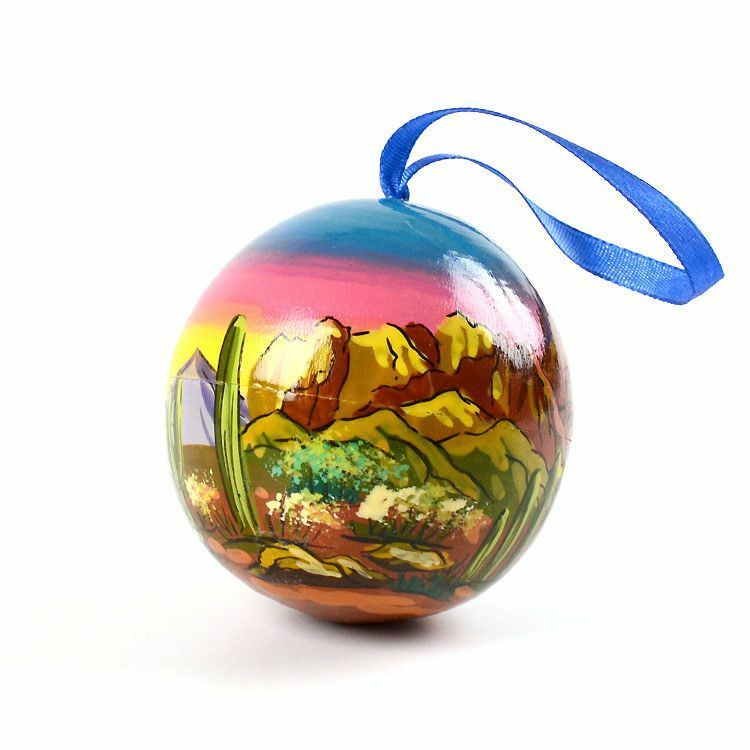 This ornament features a delightful sunset of yellow, pink, and blue. 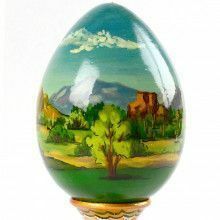 It is about 2 1/2" in diameter and is made of birch wood.